To be a Pure is to be perfect, untouched by Detonations that scarred the earth and sheltered inside the paradise that is the Dome. But Partridge escaped to the outside world, where Wretches struggle to survive amid smoke and ash. Now, at the command of Partridge's father, the Dome is unleashing nightmare after nightmare upon the Wretches in an effort to get him back. At Partridge's side is a small band of those united against the Dome: Lyda, the warrior; Bradwell, the revolutionary; El Capitan, the guard; and Pressia, the young woman whose mysterious past ties her to Partridge in way she never could have imagined. Long ago a plan was hatched that could mean the earth's ultimate doom. Now only Partridge and Pressia can set things right. 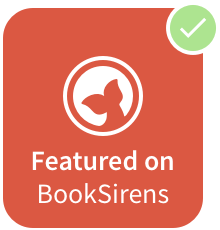 I read Pure way back when I hadn't been reviewing for very long, and when the lovely people at Headline sent me Fuse, I thought...why not make this a DOUBLE review?! The UK cover says; love Hunger Games, love Pure, so I right away knew that if a book is already being compared to another brilliant series, then there's a huge chance it's just as amazing. And Dystopia books are right there on my shelf with my other favourites, so I knew I was going into this with knowledge that it was going to be loved, regardless. As soon as I started reading Pure, and hearing some feedback from other Bloggers alike, it seemed it was a love or hate book among them. For me, it was definitely a love book. Maybe it was the way the plot just seemed so uniquely gripping and in Dystopia--a HUGELY favourite genre of mine and has been for months now. 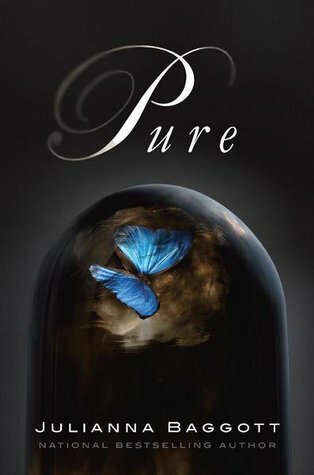 Darkly disturbing and with a premise so addictive, Pure had more imagination and twist than I'd read in a Dystopia world before. With a doll head for hand, Pressia; our main character, was gritty and fascinating in herself, along with her story. I love that her back-story was thoroughly explained throughout the novel so that as a reader, I could have more insight on the destructed Post-Apocalyptic world. It's ways of telling the plot are very older YA appropriate with it's more darker and sophisticated way of being told, though nevertheless appealing to a whole range of age groups through YA to Adult. Pure had elements that were alike Hunger Games, though they weren't similar in any crucial ways and couldn't really be compared to each other as the plots are completely unique and captivating in their own ways. I thought that the multiple POV's were perfect for the novel, in the way that it gave an overall look at the Pure world and not just from one person's POV. The alternative reality that Pure had was stunning, and the connection with the characters was steady and instant. Inside Presia's head were many struggles and battles along the way, and feeling a connection with her made the story all the more attention-grabbing. 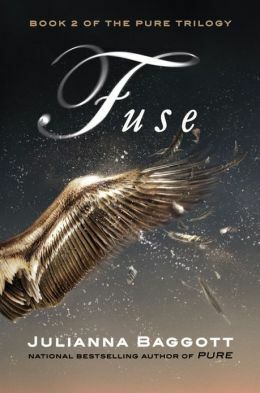 There are four POV's in Fuse, and let me tell you...Fuse topped Pure almost halfway through reading. It took me a while to get to book two after reading Pure, so after reminding myself of the world I got so lost in before, Fuse was all the more inviting and alluring. The plot lingered around in my mind even after I had put it down for a while (which only happens with books I am MASSIVELY loving...). I got caught up the protagonists from where we left of in Pure, and Pressia is still with Bradwell who she's actually figuring out she has these feeling for, though she's not sure about them or what they entail. She's also found out some news about her father that's shocking and is in a saddened state about her mother, too. Not to mention how Partridge--a pure--is linked to her in a way she never knew. All the twists and turns really make Fuse vividly UN-put-down-able. I felt sorrow for the world that is broken and the way that Julianna described it was so realistic that I could see it every time I read the pages, as if it were a pop-out book. There is nothing like Pure, and nothing like Fuse out there. It was so intuitively perfect and truly two of the best and most amazing reads I've had the chance of reading. They are hugely and undeniably five-star worthy.